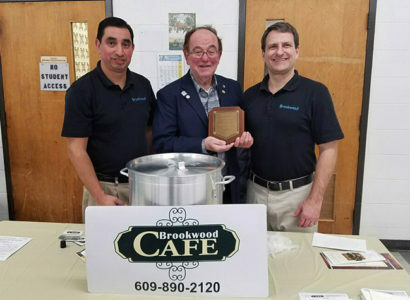 Pictured above are the Grand Champion winners, Little King Sandwich Shop of Hamilton, NJ, along with Hamilton Rotarians Len Nemeroff, event chairperson, (right), and Marie Varga, (left), the Rotary Club’s Soup Guru. On February 27, 2017, The Rotary Club of Hamilton hosted it’s 5th Annual Soup 4 You Contest at Steinert High School where the community was given voting rights. 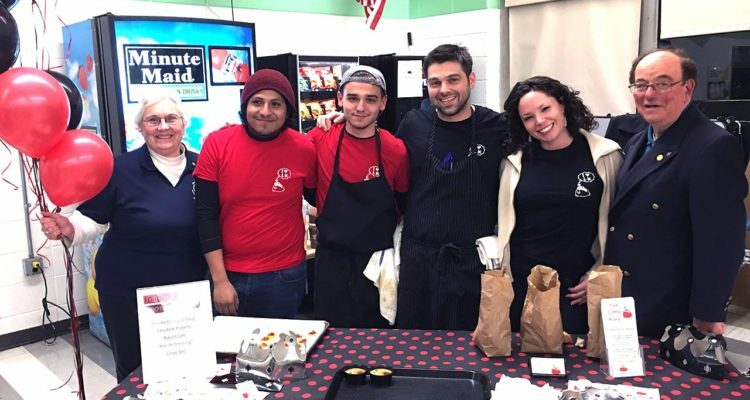 Ten local restaurants served up their signature soups, along with their winning dispositions, to about 300 attendees. The community spoke and gave the Grand Champion Award to Little King Sandwich Shop for their Smokey Roasted Potato Soup. Their collective tastes then gave the Chef’s Award to Mannino’s 3 Restaurant for their Chicken Alfredo Soup. Mamma Rosa’s Restaurant won the Honorable Mention Award for their Vegetable Beef Soup. Also serving up their delectable signature soups were: Killarney’s Publick House, Chicken & Rice Soup; Mastoris, Crab & Asparagus Soup; Coltello Ristorante, Roasted Garlic Soup; Bill’s Olde Tavern, Sweet Potato Soup; LaPiazza Ristorante, Chicken Cheesesteak with Peppers & Onions Soup; Jersey Girl Cafe, Nacho Momma’s Chicken Soup; and Mercer County Culinary School, Smoked Duck with Mushrooms Soup. The students of the Culinary School also prepared generous amounts of homemade pastries, cookies, bread and rolls for the eager soup tasters to sample.